The socio-ecological production landscape identified as the target area for the Community Development and Knowledge Management for the Satoyama Initiative Project (COMDEKS) in Turkey is the Datça-Bozburun peninsula located in Muğla province in the southwest of Turkey.The Datça-Bozburun peninsula is recognized as a key biodiversity area as it represents one of the most pristine Mediterranean lowland forest and coastal landscapes. The proposed landscape spans 247,700 ha. About 90% percent of the Datça-Bozburun peninsula is protected under several natural parks, wildlife reserves, natural & archeological sites as well as six no-fishing zones and two Special Environmental Protection Areas (Gökova SEPA and Datca-Bozburun Peninsula SEPA). The Datça-Bozburun peninsula triggers key biodiversity area criteria for 7 different taxon groups including plants, birds, mammals, amphibians, reptiles, butterflies and dragonflies and hosts several globally endangered terrestrial species. 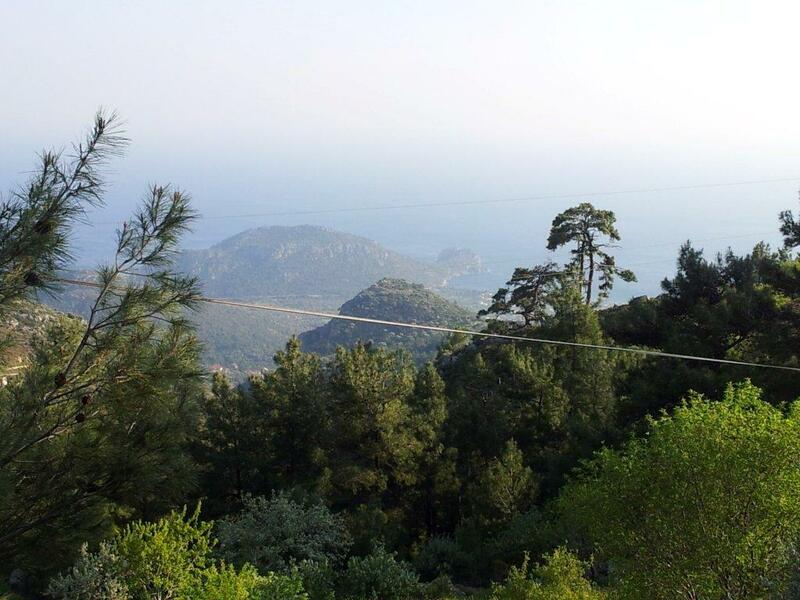 The area also represents one of the most pristine Mediterranean lowland forest of evergreen shrub-lands and coastal plants such as red pine (Pinus brutia), liquid amber (Liquidambar orientalis), cypress (Cupressus sempervirens), Datça phoenix (Phoenix theoprasti). Additionally, the Datça-Bozburun peninsula encompasses an exceptionally valuable marine and coastal area due to it being an important nursing ground for several marine species and a source of rare fauna which include the Mediterranean monk seal (Monachus monachus), the loggerhead sea turtle (Caretta caretta) and the Sandbar shark (Carcharhinus plumbeus). 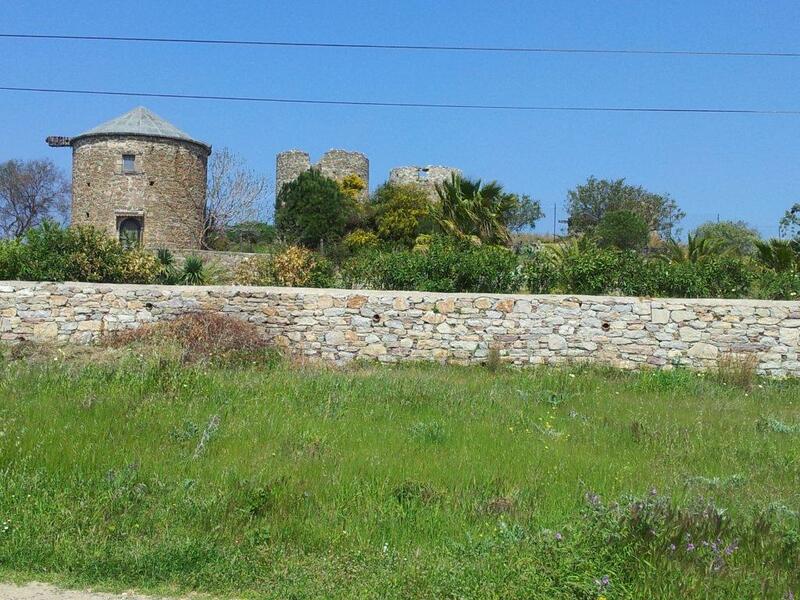 However, the Datça-Bozburun peninsula has been facing recent environmental challenges from increasing development pressures due to seasonal tourism and residential developments. Currently, the population of the proposed landscape exceeds 100,000 inhabitants, with a high population growth due to the high rate of inwards migration. Residents of Datça-Bozburun have moderate income status and the majority of the population is still dependent on natural resources for their livelihoods. The main agricultural products are almond and olives which are mostly produced under rain-fed conditions and based on traditional knowledge (such as steep slope farming). This makes traditional farming an important livelihood activity for the local community. Additionally, wild herbs are harvested for local markets. In the area, there are also efforts to cultivate salvia and oregano in order to prevent over exploitation of wild stocks. Bee-keeping is locally practiced but it is expanding into the forest and grazelands. As a result, different types of land use still occur in the area. It should also be mentioned that the proposed area holds the highest population of “fisherwomen” in Turkey (approximately 200 women actively fishing). The Datça and Bozburun Peninsula was chosen from 12 Key Biodiversity Areas representing the habitat diversity of the Anatolia and contains 2 of 14 Special Environmental Protection Areas of Turkey. The consultative baseline assessment process undertaken for the development of Turkey COMDEKS Country Programme Landscape Strategies (CPLS) brought together 42 key stakeholder representatives including cooperatives/unions of farmers, fishermen, hotel owners, tourism operators, local residents; state authorities responsible for conservation and management of natural resources and local and national NGOs working on nature conservation and agro-biodiversity, culture, art and sports. The workshop used an interactive mapping and scorecard exercise aimed at piloting the Indicators for Resilience in Socio-ecological Production Landscapes and Seascapes (SEPLS indicators). This encouraged discussions on important social and ecological values, problems, opportunities and threats of the proposed landscape and helped outline the landscape profile, expected goals and outcomes, and key measures and strategies for community-based actions. The baseline assessment clearly indicates that SEPL Performance of Datça-Bozburun KBA is quite favorable compared to similar landscapes in Turkey, due to its protection status. However, according to the participants, the resilience of the landscape is under severe threats, particularly in terms of agricultural biodiversity. a) Improved and/or maintained ecosystem services in the target landscape and seascape by strengthening participatory land use planning and management practices. b) Increased resilience of agriculture in the target landscape through conservation of plant genetic resources and implementation of agro-ecological practices using traditional knowledge. c) Livelihoods of people participating in COMDEKS activities improved through eco-friendly community-based enterprises that reduce impacts on the ecosystem functions and scenic value of the landscape. d) Institutional governance mechanisms created and/or strengthened in the target peninsulas through more inclusive and participatory decision making processes at the landscape level. The types of community projects that will be supported by COMDEKS Turkey to achieve socio-ecological production landscape resilience include: conservation and restoration activities within terrestrial and/or marine ecosystems; conservation and diversification of agricultural mosaics; sustainable tourism initiatives; activities reducing illegal fishing; and establishment of local working groups, committees and thematic platforms via networking to enhance participatory decision making at the landscape level. New! 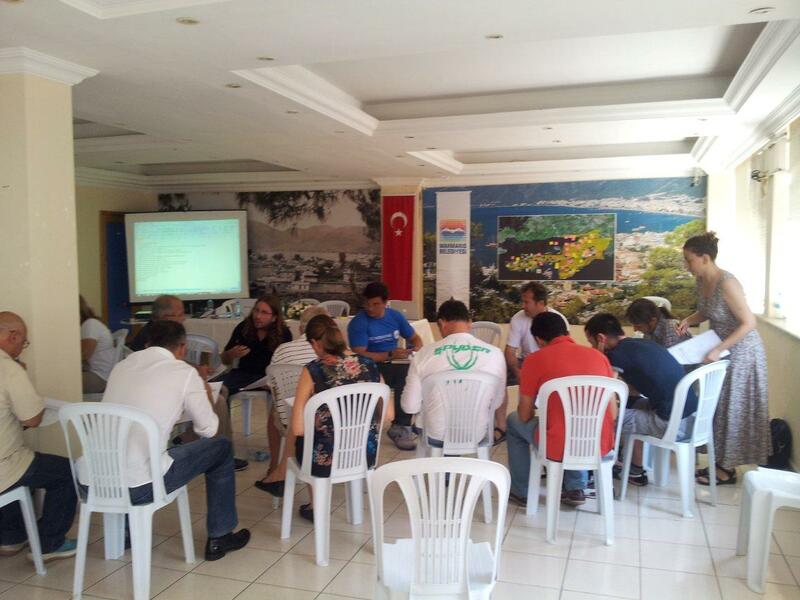 COMDEKS Country Programme Landscape Strategy for Turkey can be downladed here. To identify key areas of concern and develop a strategy, 42 key stakeholders and community leaders representing fishermen, farmers, hotel owners, residents, state authorities, and local NGOs participated in a baseline assessment. The assessment included an interactive mapping exercise, where participants marked important asset, values, threats and conflict areas on a map of the target landscape. The map that was created by community members during the baseline assessment provided valuable information, not only on key characteristics of the area, but also underlined sensitive areas of interest, problems, opportunities, and threats. 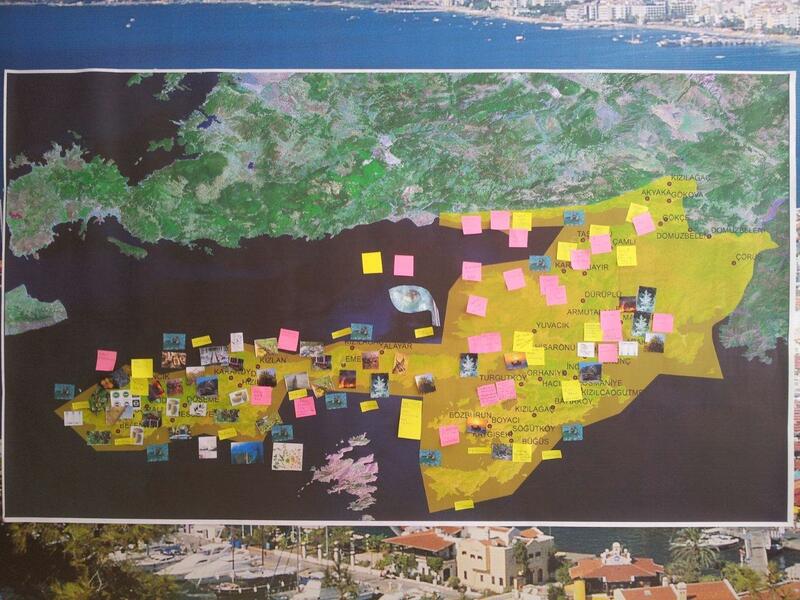 As part of the community consultation process and mapping exercise, a poster titled “Challenges and solutions to enhance the resilience of the Datça – Bozburun Peninsula’s socio-ecological production landscape and seascape” was produced. The poster is used as an educational tool for local communities and for building awareness among tourists visiting the area. The baseline assessment led to the preparation of a COMDEKS Country Program Landscape Strategy for Turkey, a comprehensive document which outlines the landscape profile, expected goals and outcomes, and key measures and strategies for community-based actions. To assist innovative actions identified by the communities, community-based projects organized around the COMDEKS Landscape Strategy are funded through small grants. One of the projects implemented through COMDEKS in the Datça-Bozburun Peninsula aims to improve the livelihoods of local fisherwomen. The first step of the project involved gathering information and connecting with elders and community leaders to understand sociological factors affecting fisherwomen. To improve the resilience of the target seascape, one of the projects aims to transition towards more responsible fishing practices in Datça peninsula. Aimed both at producers and consumers, a group of experts and scientists have produced an educational kit which will help to educate fishermen and fisherwomen about responsible fishing practices. As part of the “Transition to Responsible Fishing Practices in Datça Peninsula” activities, local fishermen and fisherwomen will have the opportunity to receive a “Responsible Fisher Certificate” to identify consumers and restaurant owners that participated and succeeded in an educational program about responsible fishing practices. “Responsible Fishing Codes in Datça-Bozburun Special Environmental Protection Area”, developed as an educational tool at the landscape level. Educational brochures were produced and disseminated as part of the efforts for promoting seascape resilience through sustainable fishing practices. The “Ghost Net Busters” project aims to protect biodiversity and improve ecosystem services in the region by educating stakeholders about the environmental dangers of using ghost nets, and by identifying and removing existing ghost nets. Thus far, approximately 5 hectares of seascape was cleared of ghost nets, allowing for rehabilitation of that environment. 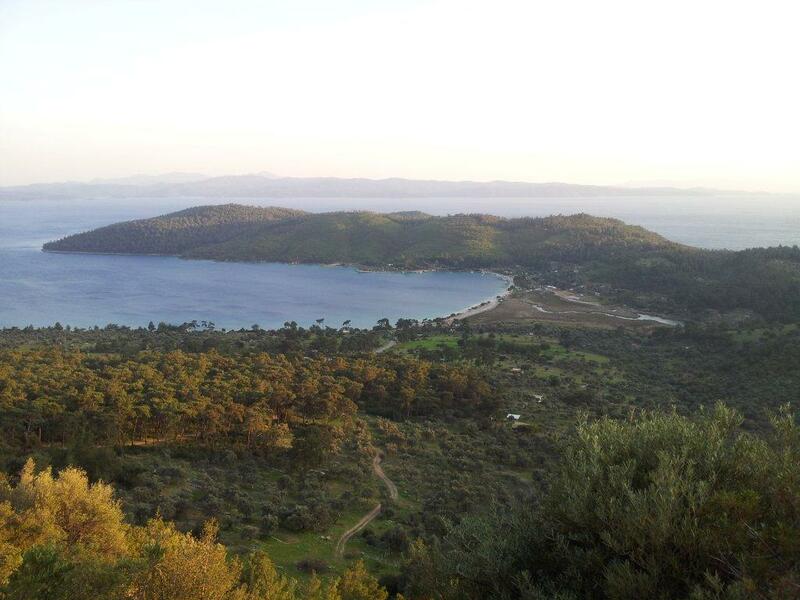 Due to its rich biodiversity, the biodiversity Datça-Bozburun Peninsula is considered a Key Biodiversity Area. Currently, the rare Mediterranean forests of the region are threatened. COMDEKS activities in this target landscape are aimed at reforestation and protection of this critical ecosystem. Field research has been conducted to define specific conservation measures and applications to protect the local Mediterranean forest ecosystems whose biodiversity is currently under threat. The efforts have included a partnership with local government institutions aimed at improving sustainable practices and reforestation efforts. Photo Credit: Yasin Ilemin. The Datça-Bozburun peninsula is home to several globally endangered terrestrial species. Part of the efforts of COMDEKS activities in the target area is focused on raising awareness and improving local conservation status of these priority species. Photo Credit: Yasin Ilemin. One project, “Action Plans for Priority Mammalian Species of Datca-Bozburun Peninsula” is an effort to support already existing institutions responsible for the conservation of large mammals by creating species conservation plans. One of the main goals of COMDEKS activities in Turkey is to promote projects that contribute both to regional income generation and conservation, for example through efforts to conserve agriculture mosaics by adapting ancient terraces to current agricultural practices and enhancing the productivity of local olive and almond orchards. One of the projects supported by COMDEKS in Turkey is called “The conservation, promotion and fair trade of Datca Almonds” The project is focused on conserving, producing and marketing local organic almonds.